Hinterland House places you perfectly to explore the lush Byron Hinterland and surrounding areas, with the luxury of space and serenity of your Bangalow holiday house. 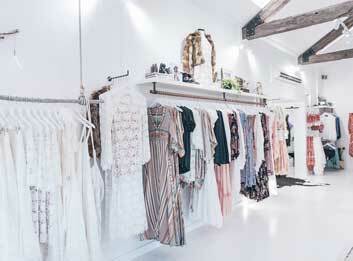 You’ll be staying a minute’s drive from Bangalow’s historic streets and eclectic boutiques, and a pleasant 20-minute drive from the picturesque beaches and laidback cafés of Byron Bay. If you’re interested in an early morning dip, a celebratory dinner or to experience the area’s family-friendly attractions, our insider’s guide will direct you to the top local beaches, markets, restaurants, attractions and gathering places in the area. You’ll be spoilt for choice when it comes to pristine beaches around Byron Bay, whether you’re into pro surfing or sand castles. The sweeping sands of Broken Head Beach are the closest and offer exceptional surfing, fishing and swimming, while Byron Bay’s famous Main Beach, Belongil Beach and Wategos Beach are situated just north. 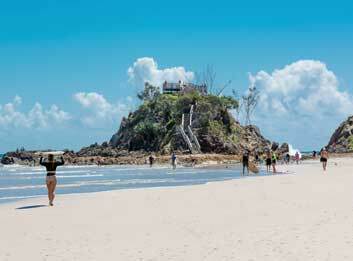 Further along the coast, the sweet coastal town of Brunswick Heads nestles where the river meets the sea. Looking to stock up on the freshest organic produce – or simply to stroll in the sun and explore? 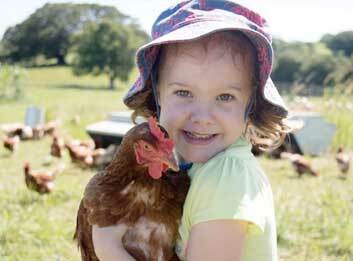 There’s a multitude of markets to choose from in the Northern Rivers area on any given weekend. 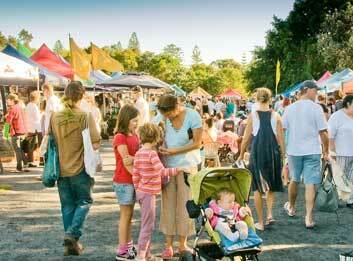 You’ll be minutes from the renowned Bangalow markets as well as the Byron Bay Community Markets, where you can pick up extraordinary fine artworks and craft, colourful homewares and of course, delicious treats from the region’s producers. If you’ve gathered the family together there are a number of unmissable activities for children close to Hinterland House. Start with a day at the beach, with the chance to spot whales from June to November from the lighthouse. Then, you might take a walk through incredible crystal-encrusted gardens, enjoy some up-close animal encounters and even take the opportunity to swing through the air on the flying trapeze at Circus Arts.